Before you start promoting your blog, you have to make sure that your blog has minimum posts and fully ready. Once your blog reaches a minimum posts limit of 15-20, you can start promoting your blog on social media sites, search engine sites & other bookmarking sites. • Make sure your core content is live and ready for promotion. • Test your menu bar and sidebar links to make sure pages, posts and archives open properly. • Create a comment form to make sure people can easily leave comments. • Test your social sharing buttons so people can share your posts on the top social networks. • Give your visitors one or more ways to connect with you and subscribe to your blog including an option to subscribe by email. • Test your blog on the top browsers (Chrome, Firefox, Safari and Internet Explorer) and see if everything looks right. • Check your contact info and test your contact form to see that it works well on your blog. • Set up Google Analytics to track your visitors, where they come from and top content pages on your website. 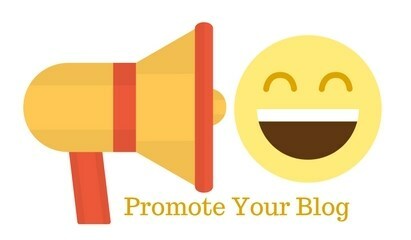 Now, let’s look at how you can promote your blog as a whole. These are especially important steps when you are just starting out. Let your connections know about your new blog. Everyone who comes in contact with you should know that you have a blog. Some good ways to ensure this include the following. • Add your blog URL to your email signature so your email contacts can check it out. WiseStamp is a great app to try for anyone using Gmail or other browser-based email systems. It will even pull in your latest blog post into your signature. • Add your blog URL to forum profiles and signatures where you participate in discussions, preferably related to your new blog’s niche. • Add your blog URL to the social profiles you use the most, including Twitter, Facebook, LinkedIn, Google+ and Pinterest. This way, whenever people find you on social media, they can discover your blog as well. • Add your blog URL to author bios of any sites you are already contributing to, including other blogs you own. Maybe you already have a blog about photography and you’re starting a blog about marketing. Your author bio and about page should link to your new marketing blog. You can use the sitemap to submit your blog to search engines through Google Webmaster Tools (Google Search Console) and Bing Webmaster Tools (for Bing and Yahoo). By doing this you will be able to get free organic traffic on your blog. Commenting on other relevant blogs is a great way to build relationships with top bloggers within your niche. Research the Web to find top blogs in your niche and start commenting on their newest posts. This will help you make blog hosts and their readers aware of your existence and help you establish your own authority within the niche. Guest blogging is very important for Search Engine Optimization (SEO). It’s still a great way to get exposure within your niche so long as you are submitting quality content to quality blogs. Find blogs that have strong social shares and community engagement as judged by the number of comments per post and social followers. Get to know the blog owners and/or editors, establish a relationship with them, then approach them to see if they are accepting new contributors on their website. You don’t have to reinvent the wheel when it comes to promoting your blog. Just look at what your competitors are doing in terms of marketing strategy. You can use SEO backlink tools to show you the links your competitors are getting, which will shed light on their strategies for social networks, directories, guest posting opportunities and other online marketing tactics. Cognitive SEO has a free Backlink Explorer you can use for this purpose. Regularly creating valuable content on your blog is one way to get search engines to index your content. If you want your blog and posts to rank for particular keywords, you’ll want to always strive to optimize both for search. Add a keyword optimized SEO title and meta description to your blog’s homepage, main static pages and each one of your posts. To stay on Google’s good side, avoid overstuffing your blog with keywords. Choose one keyword phrase to optimize on each page and post. Include it in your SEO title, meta description and inside the Alt text (alternative text) of the image on the page. Don’t wait until you begin getting a substantial amount of traffic to build a mailing list—start from the very beginning. If on your first day of launching your blog you get two people who love it, you want those two people to be able to give you their email address so you can keep them up to date with what is happening on your blog. Later, you’ll use this list to promote your monetization strategy. In addition to promoting your blog as a whole, you will also want to promote your blog content, i.e., each, individual blog post. As you promote your content, your entire blog will gain more traffic, social shares, and engagement. 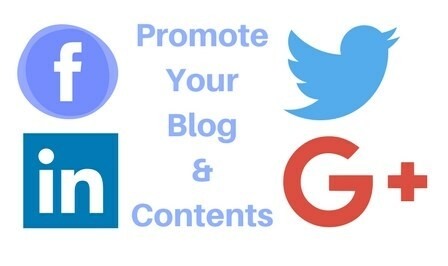 Following are some ways to promote your content. Similar to directories, there are hundreds of social bookmarking and voting sites. And similar to directories, not all of them are worthwhile. Your goal is to look for social bookmarking and voting sites that have engaged users. These include Delicious, StumbleUpon, Reddit, BizSugar, and Inbound. Note that many of these sites are not fond of people constantly promoting their own content. You may want to consider establishing friendships on those networks and occasionally sharing content with them. Often, they will submit your content to the networks, particularly if you do the same for them. Several networks exist solely for the purpose of gathering people who love to help each other promote their blog posts. These networks include Triberr, Social Buzz Club, and Viral Content Buzz. You can also build your own blog post promotional network as your network with others in your niche. Just have everyone connect in a Facebook group or in an email list where they can share their latest posts. Maintain a clean and properly functioning blog. Create focused and helpful content. Engage in conversation and build your authority. If you like this post, please do share it with your friends and family members and also subscribe us to stay updated.